These are vintage drops or charms that were made in Japan. 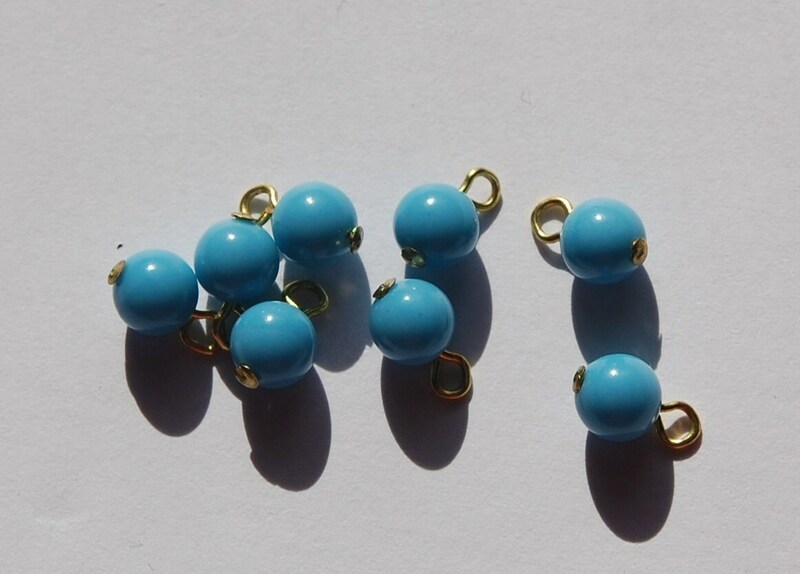 The glass beads are a turquoise blue color. They have a gold tone loop making them ready to attach to your creations. The beads measure 6mm. The whole piece, with loop is about 9mm long. You will receive 8 of these. Final little drops to use for earrings. Cute little beads. All is good. Thanks!